The core is at the root of every exercise we do. Training other parts of the body and having a weak core is like furnishing a house that has an unstable base. Including the jack knife ab exercise in your training routine will make you burn some serious calories. The regular sit ups or the ab roll-out may turn ineffective when done for a long time because the abdominal muscles adapt to it. The Jack Knife Sit ups, also known as the V Ups are perfect for people who want to target the lower abs just a bit more as it contracts it significantly. Lie on the floor, keeping your hands extended behind the head. Fully extend your legs and ensure that the toes are pointing forward. Lower your arms and legs slowly while returning to the starting position. Control your movement while coming down. 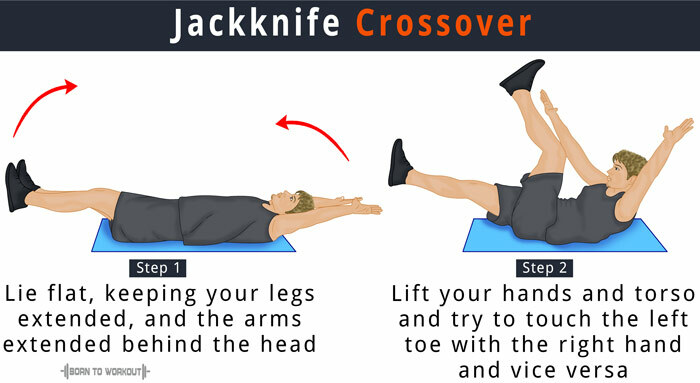 If this is tough for you, you can perform the exercise by bending your knees which is known as the jackknife crunch. 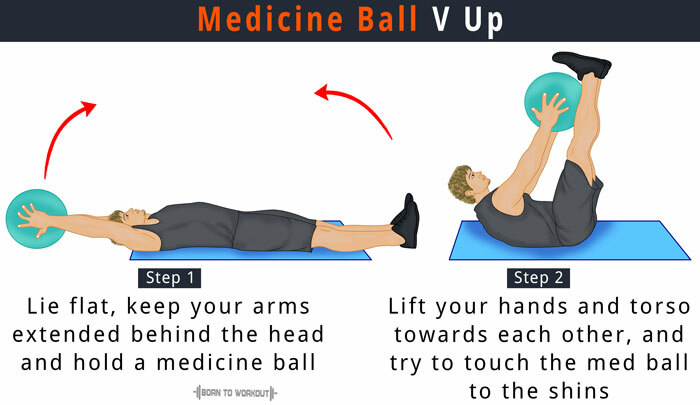 For a medicine or stability ball V-Up, hold the ball in your hand and touch the toes with it. If you want to do a single-leg jackknife sit-up, then bend one knee at the waist and raise the other leg. Follow the same steps as the v sit-up exercise, but touch the right toe with the left hand and vice versa. Keep your hands stretched behind your back and legs fully extended. Now, bend your knees and raise it towards your chest so that you can touch the sides of your heel with your hands. Always contract your abs before starting the exercise so that you get maximum muscle engagement. Do not use the strength of your hips but the abs to raise your legs.